A dedicated, self-contained system for long-term deployment and unattended operation for measurement of soil respiration. Ideal for both spatial and temporal analysis. 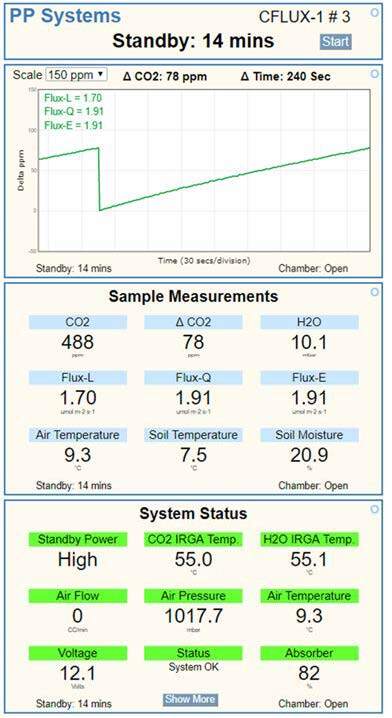 Each CFLUX-1 Automated Soil CO2 Flux System has an integral, accurate, non-dispersive infrared gas analyzer for CO2 and H2O. Two independent infrared gas analyzers in each system means accurate measurement and fast response times regardless of where each system is stationed – eliminating problems associated with long distances between chambers, analyzers and multiplexing devices. 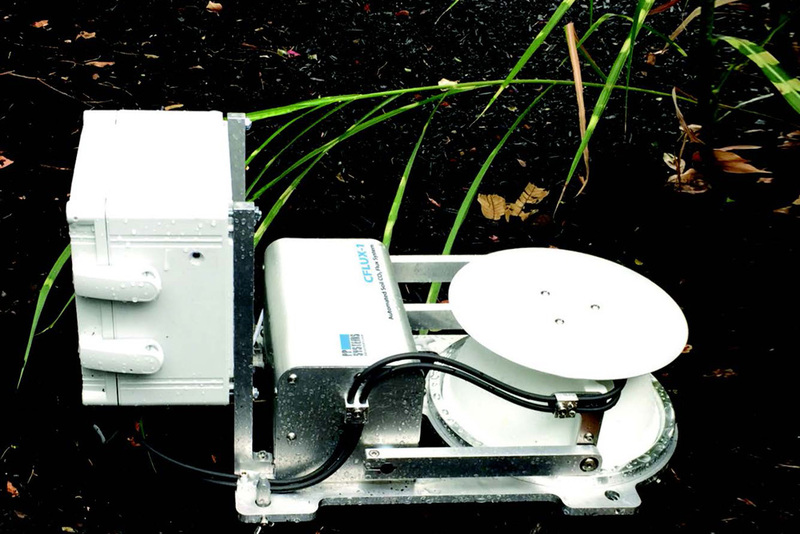 A robust, water tight enclosure protects the built-in CO2 and H2O gas analyzers, electronics and terminal block connections. 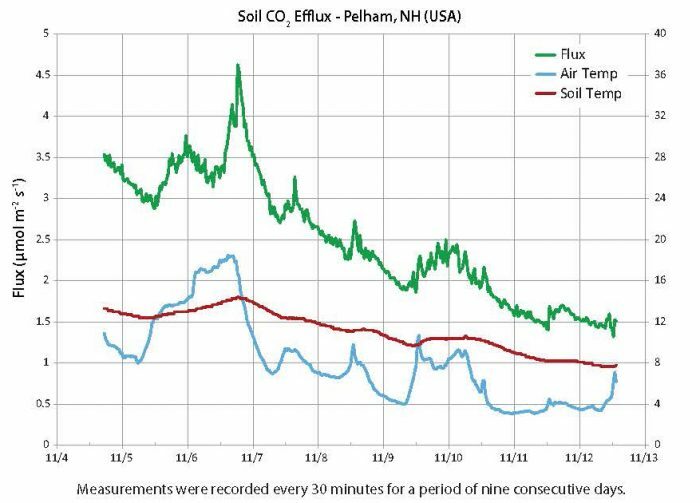 Incorporated into each CFLUX-1 system, Auto-Zero eliminates the need for field recalibration and allows for fast warm-up, adaptation to changing ambient conditions and excellent stability and accuracy for both CO2 and H2O. 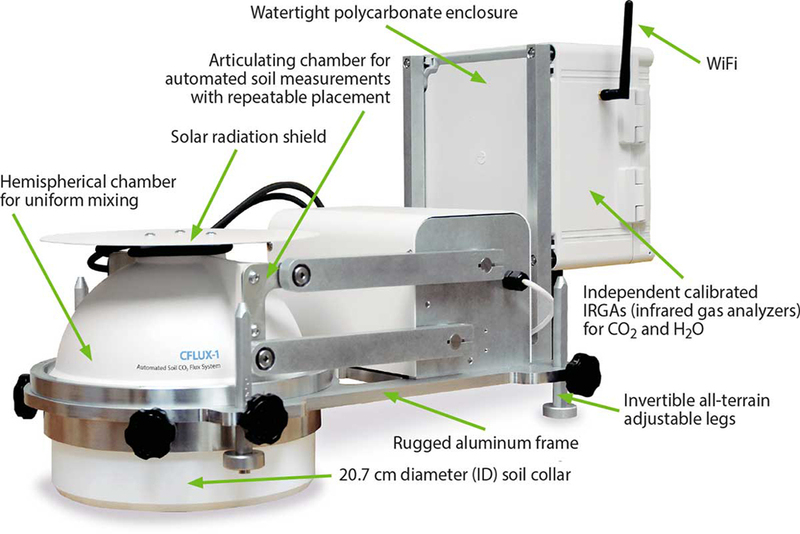 The CFLUX-1 can be calibrated up to 30000 ppm for soil CO2 flux measurements in high CO2 environments such as volcanic areas. The CFLUX-1 system includes full data storage direct to a USB Flash Drive (memory stick). Sensor data and information can also easily be stored on an external data logger if necessary. Onboard WiFi access point is used for setting up and monitoring the system remotely from your phone or computer. If connected to a local computer with a router the CFLUX-1 system can be monitored from anywhere in the world with internet access. 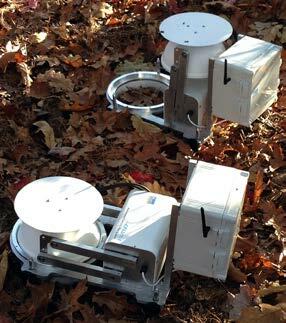 The CFLUX-1 has one SDI-12 input and one analog input (0-1V) for use with commercially available sensors for measurement of soil moisture and soil temperature. Soil moisture and soil temperature can be measured and recorded along with flux data. Our large hemispherical chamber (2500 cm3) is carefully designed to ensure uniform air mixing and accurate measurement of soil CO2 flux. It also features a unique venting system to balance the pressure between chamber air and ambient air. A power-efficient actuator and electronics control the opening and closing of the chamber at user-defined time intervals. 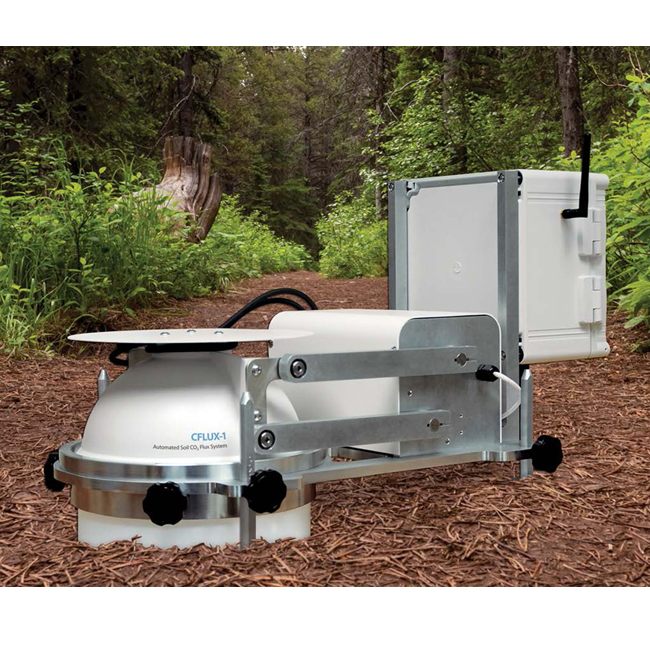 Four user-adjustable legs allow the chamber to be easily deployed at the field site.